I recently interviewed the owners of Crystal Visions in North Carolina for Retailing Insight, the successor to New Age Retailer magazine, marking the retail store’s 30th anniversary in 2019. See that interview with Blair Justice and Joan Colburn here. Doing that work threw me back in time a bit: I was an editor for New Age Retailer magazine for eight years, and one memorable highlight was interviewing Stan Madson, co-owner of the iconic Bodhi Tree Bookstore in West Hollywood, California, on stage at the 2006 International New Age Trade Show. The store was celebrating its 36th anniversary that year, and I was doing my final public event as editor in chief of the magazine. The interview was then transcribed into a print piece in the magazine. In its very first issue, 20 years prior to that interview, New Age Retailer ran a “close up” feature about Bodhi Tree Bookstore, and since that interview the magazine has changed its name and its ownership, and Bodhi Tree was also sold. Under new ownership it continues to exist as an online retailer without a physical storefront. While Bodhi Tree had originally posted a PDF of the interview on its site, that disappeared when ownership changed and the site become dedicated fully to e-commerce (see it at www.bodhitree.com). Bodhi Tree’s physical store was such an essential historical New Age and retail institution, I thought the stories told in this conversation should be captured more lastingly. So I’m publishing the piece here. 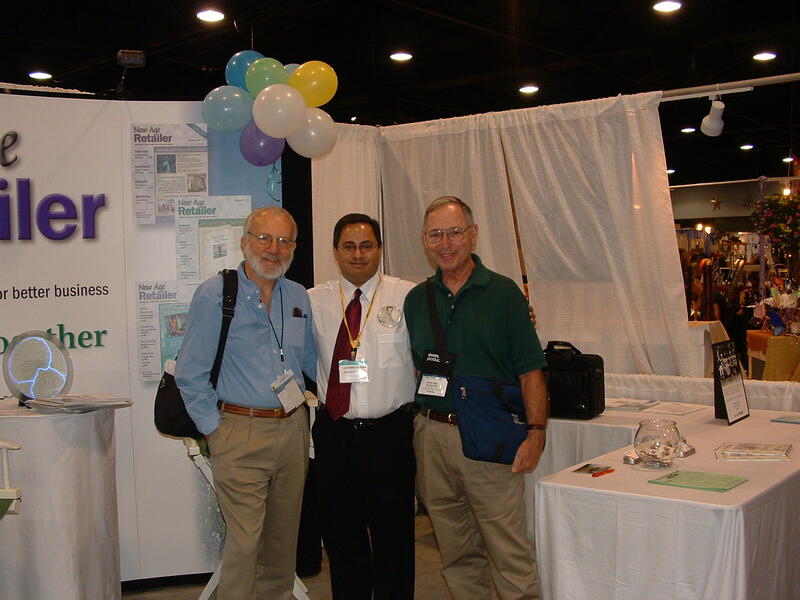 I don’t have the photography that ran with the article in the magazine back then, back when, but I found a photo of Stan, co-owner Phil Thompson, and myself at the International New Age Trade Show maybe a year prior. My last public event as New Age Retailer editor in chief was the 2006 International New Age Trade Show West in Denver. I have interviewed hundreds of store owners, formally and informally, for this magazine. So, it was a special and satisfying culmination of my years working as a writer and editor at New Age Retailer to interview Stan Madson, co-owner of Bodhi Tree Bookstore, on stage as part of INATS programming on June 24, 2006. Co-owner Phil Thompson could not attend the program because he had other important business: his youngest son’s college graduation. But with a mixture of straight talk, plenty of laughs, and even a tear or two, the usually reserved Madson more than held his own, winning the audience’s rapt attention as he shared memories and perspectives from 36 years of New Age retailing. Ray Hemachandra: Good afternoon, everyone. One of the questions I often ask retailers in interviews is: “What gave you the idea for your store? What inspired you to start it?” The answer that comes back more than any other is: “Bodhi Tree Bookstore was my inspiration.” In fact, we have a retailer sitting in the front row today—Susan Weis of breathe books in Baltimore—who offered that very answer. It is a privilege and a pleasure for me to share the stage today with my friend Stan Madson, co-owner of Bodhi Tree Bookstore in West Hollywood, California, one of our community’s great stores. We will recount some of the store’s history, see how the Bodhi Tree has evolved alongside the broader New Age community and marketplace, and then look ahead to where we all may be going from here. Stan Madson: I think the honor is felt more by us at Bodhi Tree Bookstore than by you, Ray. I’m really quite honored to be here. Hemachandra: Thank you, Stan. Well, it was 1970. Six friends—three couples—decided to open a bookstore. How did the idea sprout? And, then, what was the idea? What did you conceptualize this store to be? Madson: The 1960s were a time of social fermenting. A lot was going on. It was a time much like right now. There was an unpopular war. A lot of controversy swirled around the government. It also was a time when psychedelics were being launched. I can remember going to the Civic Auditorium. Tim Leary was there in a white gown, and he opened by having The Grateful Dead play music. I had never heard of The Grateful Dead. Leary said the idea was to tune in, turn on, and drop out. My friends and I were part of aerospace, and we didn’t quite live that Leary ideal. But the time did open us to looking into meditation. The Zen community was starting to grow in San Francisco and locally in Los Angeles. We sat in and did some Zen meditation. We were very lucky. We were walking in Calabasas, a community in the Los Angeles area, and we ran into the personal secretary of Krishnamurti. He invited us to a session of private talks with Krishnamurti on an estate in Malibu. So, about 30 of us were sitting around talking with Krishnamurti. That was when we first heard about “freedom from the known” and things of that sort. We were looking for something we felt was more life-oriented—something we could embrace totally—and we came up with the idea of a bookstore. We had heard of Shambhala Booksellers in Berkeley, and a bookstore seemed like a good thing to do. We envisioned it would support maybe one person, but would be something we would really enjoy doing. As good engineers, we drew circles on a map of Los Angeles, and out of these circles we started looking for a building. We found a small house in a residential area that had become a commercial site, and it fit our idea of an organic presentation. It had hardwood floors, white walls with stucco, sort of a Mission-style place. That’s how we got started. Hemachandra: The store was founded as the Bodhi Tree Book and Tea Shop. Hemachandra: Six partners were working together—you and Fran Madson, Phil and Elsa Thompson, and Dan and Marj Morris. What made you think of doing a partnership in the first place? Madson: We three fellows were all in aerospace together. We spent a lot of time talking about all this stuff. One of us would pick up a book on Carlos Castaneda’s Don Juan teachings, and the book would move between us. Another would pick up a book by Alan Watts or D.T. Suzuki. These books became our base of reference, and we discovered them together. Absorbed in all that, we probably weren’t much of an asset to the aerospace community for a long time. The books certainly helped us make the transition away from that life and into this partnership and other life. Hemachandra: How did the idea for the tea-shop aspect of the store originate? Madson: We were Buddhist Zen-ny oriented, and teas are very natural to that. Tea ceremony interested us. So, in the initial store we had a wall of herbs and teas. Our sideline was handmade teapots. Eventually, we kept the herbs and teas but the teapots disappeared, and we became something else. Hemachandra: And the name changed to the Bodhi Tree Bookstore. Stan, 36 years later, what are the guiding principles of your business? Have they changed? Madson: When we started, we talked about devising a comfortable work and retail environment. I think that intention still remains true. We desired an environment with good design, natural materials, and, very importantly, products that we felt supported life. When we started, as now, we embraced the practice of simplicity, honesty, and service. We wanted to weave together everything that we do—all that there is—with vision, consciousness, and some kind of an all-encompassing flow we could share with not only our friends and customers but the community at large. Another important aspect of the store is we try to keep it open and neutral to all the different religions and philosophies that are around. We encourage our staff to embrace that sensibility, as well. We have a very strong and continuing belief in education and self-transformation. We also embrace the idea of right livelihood. You do whatever you are doing with deep respect and love. It doesn’t really matter what you are doing, but you need to bring to it the respect and love. If you don’t, you need to change somehow—change what you are doing, perhaps, or your orientation toward it. Hemachandra: How does right livelihood manifest in concrete ways as a guiding principle for your business? What does that look like in the practice of running your store? Madson: For Phil and myself—Dan Morris left after the first few years—we try to do things that we organically feel are good for ourselves and others. As the store got bigger, and we added staff, we tried to find people who would embrace the same concept. So, if they are having struggles, we try to encourage them not to simply stay within something causing distress, but to act in some way, to change. Sometimes you can’t change people, and sometimes they don’t want to change. In some cases, it is best for people if they simply go someplace else—that they find their destiny in some other place. But for us at the Bodhi Tree, we want our staff to have this strong sense that their lives and what they are doing are worthwhile. That is an important aspect of doing the work, and we encourage people to come to us if they feel there is something that is not that way. Hemachandra: Stan, I’m curious what your management structure is, especially given that the store was born out of hippie culture. Madson: When the store first grew to needing staff, that was an interesting sit-down conversation. We said, “Well, the store is doubling every year. We can just continue to operate it ourselves and keep it this size, or we can open it up and let other people—staff—come in.” We decided we were having such a good time that we wanted to let everybody else have a good time, too. People really have enjoyed working at the store. The store kept getting bigger. Because we had more staff, we could service more people. During the mid-1980s we remodeled and grew from a 1,200- or 1,400-square-foot store to 5,000 square feet—more than double. The staff grew to about 50 people. Hemachandra: —with the book Out on a Limb? Madson: Yes, and we played a role in Shirley’s path and development. Hemachandra: I’ll ask about that next. Madson: The popularity of the book and all the publicity that went out around it caused the store to grow extremely large very quickly. It was staggering. We had close to 100 staff members for a while. For Phil and myself, the difficulty with having staff is the fact that we are hands-on people with the day-to-day work. We didn’t quite want to delegate. Our management style is hands-off. We ask people to have a sense of self-responsibility without a lot of supervision. We have shift managers during the day. They vary from shift to shift, too—it’s never the same person twice in a row. Our style of operation is no one does any one thing all the time. So, staff people are not stuck at point of sale all day long. They may work point of sale for two or three hours. Then they’re in the office, and then they may do restocking. We have found this handing off, this constant flow, to be life-embracing. It is fun to do that. We have tried to keep from developing an assembly line in the store. We do have a lot of rules, but we recognize that every situation has a unique quality to it. We try to educate our staff to be self-starting and to be people who work very well with their co-workers. In every situation, we want them to weigh all that is going on to come up with a right solution. Hemachandra: What are examples of rules your store has in place? Madson: One of the rules is being on time. Be punctual. Another is that, even though we don’t have a dress code, be neat and clean. Hemachandra: Stan, what’s your job description? Madson: I’m still a manager. Maybe I am a quality-control person, as well. Hemachandra: What does your typical day look like? Madson: OK, let’s take an untypical day, because pretty much they all are untypical. This past weekend I came in Saturday morning. We had one principal person out on extended sick leave. Two people called in late, so we had to fill in for them, and then one person called in sick, so we had to fill in there, too. We scrambled people around to make it work. Then, I read through the morning reports. Our computer runs all night long and pumps out about 25 to 30 sales-statistics reports. In the afternoon I attended a class I always attend—an ongoing educational program that integrates all the religions and heretic teachings of all time with art, history, vision, consciousness, mythology, rituals, and nature. It’s an educational course to essentially recalibrate everything that you think you believe in and know. Then, I did all the ordering for the music department, because that person was out. I do the gift ordering, so I did that. Hemachandra: You took care of the plumbing. Madson: Yes, I was the plumber. I talked earlier about the store being founded by people immersed in Zen, Krishnamurti, and such. The idea of the here and now is something we embrace strongly. So, our days are not planned. Rather, we are involved with making sure all the parts flow. We try to present to customers a continuous magical environment. We try to keep what we do—our internal workings—quiet and hidden. We ask the staff to not gossip in public spaces, for example. We keep our internal problems out of the public space, so that this sense of magic is there. The Bodhi Tree really is a magical space, and I think all retailers who have stores of this type can appreciate that sense. The people who come to these kinds of places often put aside their bad feelings and try to put out good feelings. We are the recipients of those good feelings, and we try to nurture them with what we do in the store. Hemachandra: To follow up from earlier, Stan: What was Shirley MacLaine’s relationship with Bodhi Tree Bookstore? Madson: One of Shirley MacLaine’s mentors was the channeler Kevin Ryerson, who is extremely well-read. He knew the store and suggested Shirley come in and look around. We showed her books on the Tao teaching, the yoga aphorisms of Patanjali, some books by Alan Watts and Krishnamurti, and a whole smattering of things. She walked out with this big carton of books. She became quite involved with the movement and perhaps especially with the woo-woo part—that’s how I think people talked about it—spiritualism and channeling. She launched them very strongly into popular understanding. Hemachandra: Speaking of the woo-woo, what topical shifts have you seen in the New Age during these past decades, and why have they occurred? I think New Age and its subject matter have become significantly less woo-woo and more mainstream. Hemachandra: What do you think these changes reflect? Madson: Part of it, I think, reflects that a larger population has had experiences much like ours, Ray. We have really experienced a great deal and experimented with a lot of things. We have learned a lot about the energy systems that are available, and we have integrated those systems into our thinking. We now are more discriminating. We are better educated. The other thing that has happened is modern science has embraced some of these approaches. From a scientific point of view, rather than a New Age point of view, scientists are exploring new technologies that sound awfully familiar to a lot of us who are in this kind of work. From work by people such as Dr. Masaru Emoto, a visionary whose work involves water, we have seen manifestations of how consciousness can change and transform material things. So, we now are experimenting more with, and becoming more interested in, the idea of consciousness playing a role in the nature of creation—that we can participate in creation in certain ways. I think all of this has had an effect on New Age thinking and spiritual understandings. Another thing is history is being remade, or at least recalibrated. The popularity of The Da Vinci Code is a good example. People have taken for granted many things that are not necessarily so. We are learning how to go back and recalibrate all this material. History is not something that is fixed. It’s a moveable feast—a term Hemingway used—and we can participate in that movement. That’s really pretty exciting stuff. Hemachandra: Twenty years ago—even 10 years ago—most New Age stores were bookstores. Gift products were called “sidelines” rather than “giftware.” Now, most stores are New Age gift stores that also sell books and perhaps music. Stan, what does this shift mean? And do you think today’s stores and retailers serve their customers’ spiritual needs better or worse—or just differently—than stores did 15 years ago? Madson: I do think retailers are serving customers differently, but people who choose retail in this market have a great deal of heartfelt emotion about what they are doing. They like what they are doing, and that’s good. The pressures that caused this shift partly reflect the people involved. A great number of people in the New Age community are not so much book-oriented but more oriented toward the paraphernalia of the spiritual community. Crystals, for example, is a very strong category. Certainly music would fit into that model, for many retailers, as well. What the book part has experienced, though, is a really strong change in the ways books are sold. It started when Crown Books originated the idea of discounted books, perhaps 15 years ago. Not too long after that the Internet came along, and Amazon took the concept and really amped it up. The books are widely available now. A lot of people are reading them and doing things with them, but they are not getting them so much from the independent bookstores, New Age or otherwise, but from someplace else. The Bodhi Tree has been an open teaching organization—a place of information—for all these years. A like role has been played by New Age Retailer and other organizations, and I think that outreach has been quite successful. Spirituality is everywhere. However, from a retail-store point of view, we have been so successful in getting the word out that in a sense we have marginalized ourselves. We now have to rethink what to do to stay viable. At Bodhi Tree Bookstore, in fact, we have been losing market share steadily for more than a decade. We are probably about 40 percent smaller in terms of sales than we were back then. Hemachandra: Your store’s sales now are more than $3 million a year. Madson: Yes. We were huge. Now, we’re just big. And there’s no question plenty of change is still to come. We talk a lot with our staff. We talk about these things, and we don’t know quite where it’s all going to go. Hemachandra: It is sadly ironic that the books have greater reach than ever before while the very people who worked so hard to make that happen struggle to keep their businesses alive and relevant. Do you lament the passing of the New Age bookstore? Madson: No, because I don’t think its time has passed necessarily. Even though we’re smaller, for example, I still have a great sense of the vitality of what we’re doing and what other bookstores of our type are doing. There is just such a loving embrace of this kind of work. You would have to be very cynical not to really enjoy it, and we do enjoy it. Hemachandra: Although 56 percent of Bodhi Tree Bookstore’s sales still come from books, has the shift toward giftware in your product mix been difficult for you and Phil to manage? Madson: It hasn’t been, because we started off selling other things right from the start. I suppose there are times when we have a larger nonbook line than at other times. For example, in the early part of the 1970s we had a very large handmade children’s toy section—stuffed animals and that sort of thing. Fran and Elsa ran that concession for a number of years. Then, Elsa decided it was time to have children herself, and so she retired from the thing. One nice story from that time is about when we had a teddy-bear party. The harpist Georgia Kelly was very popular then, and she was a friend of ours. Georgia was a stuffed-animal freak. In fact, one record she put out was called Tarashanti—and that was the name of her stuffed bear. Georgia brought her harp to this teddy-bear party, and she played “The Teddy Bear Picnic.” Probably 20 people were there, and we all had our stuffed animals. It was wonderful. Hemachandra: Your store has an ambitious events schedule—40 or so events each month. Personally, what has been your favorite event? Madson: That is an interesting question. It makes me think of one of the first events we did, which was with Lynn Andrews for her book Medicine Woman. She was dressed in full buckskins and put up this monstrous teepee on our lawn. So, that’s where we did our book signing—out on the front lawn. We also hosted Buckminster Fuller on that front lawn just a few years before he died. That event really was quite something. In more modern times, one of the really outstanding events was with Eckhart Tolle. You interviewed him, Ray, so I know you understand why he is so special. He is an authentic holy man of the highest level. What he has to say about the here and now is one of the best presentations of it available. In terms of music events, we were having a book signing with Nancy Cooke de Herrera. She was a local author who was one of the original Transcendental Meditation teachers. She was in India when The Beatles came through, and she worked with them. So, we did this book signing with her, and she asked if she could bring a musician friend along. The friend turned out to be the Scottish musician Donovan. So, our first musical event featured Donovan! The famous music producer Rick Rubin came to see how people responded to Donovan. So, out of our event came Rubin producing Donovan’s CD Sutras. Another memorable musical event was with the group Vas—the vocalist Azam Ali and percussionist Greg Ellis. Ali actually had been a staff member at the store. Hemachandra: Stan, what’s your advice for a retailer starting a New Age store now? Madson: I probably couldn’t say that it is a good idea to open a store right now. However, if you feel it is your thing to do in life—that you have the love for it, and this store is going to be your temple—then you should do it. It may not result in a lot of money, but the chances are you’ll have a good time. That was true even for us. As big as we have been, the store never really has been a huge money-maker. It’s something that has been comfortable. But what it costs to do everything really does take away the profit. Hemachandra: What is the closest you have come to going out of business? Madson: That was just after 1990. We had been growing extremely big, and we had reached our peak sales. We recognized sales had dropped off, but we thought it might be a passing fad. We waited too long before we recalibrated the store in terms of the number of staff, the amount of inventory, and all the other aspects that make a store work. When you have a decrease in sales, you have to change the way you do things. You have to learn what the word “budget” means. You are not like the government. You can’t live on red money. You somehow still have to pay all your bills. Phil and I have this very strong sense that when we buy from a wholesaler, we have an obligation to pay them. We have a reputation of paying on time and regularly. No one questions it, and it gets done. To maintain that approach during a decrease in sales, you have to be clever. You really have to watch your bottom line and where your money is. That’s been a good, continuous lesson for the past 10 years, because sales have been slipping. We now are down to the bare bones, in a sense. We had a 1,000-foot storeroom costing $1,500 a month that essentially just had junk in it. We’ve finally gotten rid of all that junk, and from a vastu or feng shui point of view, it’s been good for us. Hemachandra: I want to make sure we don’t leave a false impression, Stan. Bodhi Tree Bookstore is very proactive in trying out new business approaches, rather than just downsizing. For example, this year you started a weekly interview series on your website that is available as streaming audio. Do you use your website primarily for marketing or for sales? Madson: It’s for both. But then again, maybe marketing isn’t something we know enough about yet to say it’s for marketing. We want to learn about marketing the website and store in ways that are viable. We really have spent a lot of energy packing the website with information. We have a couple dozen interviews and presentations with authors available on the site. We have an immense pool of book reviews and author articles, and we are rewriting all of those in HTML and putting them on our website. We now have about 2,000 reviews on the site. For more than a decade we published a book review—a real grass-roots effort. A couple of staff members had the ability to write and edit, and they sold us on the idea. They did it really well for about five years. We thought it would go on for a long time. However, strangely enough, it turned out the two writers both were dating the same girl. (Laughs.) They didn’t know it until it came to a head, which led to them both leaving the store. So, I became the editor for the book review. It’s something I always thought would be really fun, but I didn’t feel I had the ability to do it well. But we did the book review for about 10 years, until it stopped being economically viable. It cost $40,000 to put out an issue, and our revenue for advertising in it was about $30,000. We were publishing 20,000 copies and sending out 10,000 copies. Now, we’re putting a lot of that material on our website. And, as you mentioned, we’ve started another grass-roots project. Our events coordinator, Jo Carey, created an author-interview series in conjunction with a local radio-station program hosted by psychic healer Rhobbin Alexis. We have a 20-minute segment on the program. People like Dan Millman are interviewed. The interviews are streamed live, and then archived on our website. We want to learn how to do this really well, so we can stream live in-store events, too. To the extent we market, we do it by posting a lot of good information and hoping it both helps people and helps them find out about us. 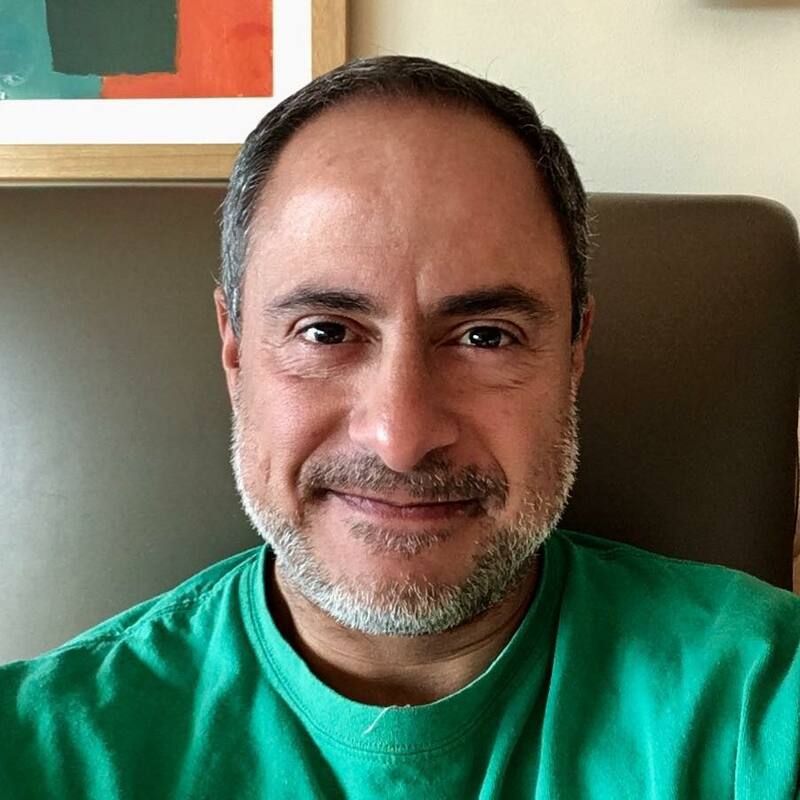 Hemachandra: Even the best of partnerships can be sticky at times, and over the course of 36 years I’m sure some issues have come up for you and Phil to work through. Phil is attending his youngest son’s college graduation this weekend, which leaves this rather blunt question just for you, Stan. What’s been the best of the partnership, and what has been the worst of it? Madson: From what our customers say about the working and atmosphere of the store, it probably looks like it’s been fairly smooth. And I would say it really has been. Phil and I seem to be compatible people. We have shared the work without getting in each other’s way very much. Phil and myself are sort of taciturn, quiet people. We are there, but we are not very visible. When it comes to the nuts and bolts of running a store and all the energy it takes day to day to keep it together, we can do those things well, and we like to do them. The little, mundane tasks are really fun for us. The person who started it with us, Dan Morris, was our legal spark plug. Dan was very energetic. He wanted to expand and do more. Our approach was in conflict with his, so that’s why he left after the first few years. But for Phil and me, working together has been fairly easy. We have not had trouble doing things in harmony. We always spent a lot of time together, too. Our families traveled together. We spent lots of summer trips together. Whenever we were working on some aspect of the store, it always was a casual conversation. So, we never had policy meetings, for example. In the past few years, however, especially since Phil has devoted a lot of time to his children and family, we started having less social time together, and our meetings have become more formal. I have found it’s harder to run the business. You come in and need to have a meeting about something, instead of the working of the business just being a part of the flow of a conversation. So, it has become harder to decide things. This change has been superimposed on a time when there is more to decide about. We have to figure out ways of keeping the store viable, transforming it, and listening to what the staff has to say about what changes are needed. We already have taken some steps to refresh everything. Our store was extremely cluttered. We have cleared up the aisles, so you can at least walk without tripping over everything. It’s really made a difference, and I think we feel better about the store. We’ve also brought in paint crews. Some of the walls hadn’t been painted since 1983! Hemachandra: Do you and Phil have an agreement in place about what happens when one of you retires or passes on? Madson: That’s part of what we’re talking about. We have had buy-sell agreements in place for a long time, but we never thought much about the fact that we would eventually get older. Now we have. Even when we started the store, we never thought of it as something that could have this longevity. It was always just about today, and then there was tomorrow and maybe a year out at the most. But, suddenly, it’s been 36 years. Both my partner and I are official senior citizens. I turned 70 this year. We thought, “Well, let’s see. There are a lot of people who are 70 who aren’t walking around much.” We realized we have to figure out something. We have made efforts to feel out our staff and see if there is an interest to perhaps take over the store. That is one idea. Madson: Yes, something like that. Also, two or three people have come to us in the past few years interested in buying the store. So, we are open to different possibilities. To the extent we’ve talked about it, we’ve said there is something special about what we have. We want to make it last. We just have to figure out how. Hemachandra: Describe the impact of co-owning Bodhi Tree Bookstore on your life. Madson: For me, in retrospect, I look back at my aerospace experience and think, well, that was not particularly right livelihood for me. I was successful enough, and it was interesting. I was fortunate to be in operations research, which was thinking about and planning for things that didn’t exist and measuring how effective they could be. That has been useful in running the store. Underneath it, I was someone who was interested in this world of literature and books. I always thought being a bookstore person meant you had to be really smart and talented, but fortunately we started the bookstore and realized you didn’t have to be. (Laughs.) But you have to be a really hard worker, and we are really hard workers. So I found right livelihood. It’s been very good. Also, the idea of always engaging something new—this sense of an ongoing educational experience with the store—has been really wonderful. The other part is getting involved with all the interesting authors and people who are part of this community. They are creative. They are artistic. There is a lot of joy in this community, and it’s really a lot of fun. Hemachandra: Thirty-six years of joy and fun as a retailer in the spiritual category—that’s a fine part of a life well-lived. Madson: I would think so, yes. Hemachandra: As you look toward the future, Stan, what is your best dream for Bodhi Tree Bookstore and then also for the New Age community and marketplace? Madson: Certainly for the New Age community and marketplace, I think they have good, staunch lives ahead of them, Ray. They certainly are moving in good directions. As worldwide phenomena they are growing and have a lot of possibilities. There is a lot more room for growth, because there really is a lot more we can discover in all this. We have just barely started, and so it is quite exciting. As I said earlier, part of this community has started embracing elements from science, and I think bringing that in will be an important part of the growth. A short history: “When the Bodhi Tree Bookstore came into existence in July 1970,” Madson writes, “the idea that we eventually would move into the new millennium and then celebrate our 36th anniversary in 2006 never occurred to us. But it is joyful and sobering to realize that such significant events have occurred. “In 1970, we were mindful of the sweeping challenges to society brought about by the Beat Generation, the Vietnam War, political assassinations, psychedelics, flower children, hippies, and The Beatles. Along with these happenings, a spiritual community emerged that talked about a new, wonderful way to live infused with the ‘wisdom of the ages’ or the ‘perennial philosophy’—with the idea that one could transform everything into beauty, light, and love. This clarion call spoke to something within us, and we wanted to be part of it. “We dropped out of the aerospace-engineering community and inaugurated the Bodhi Tree Bookstore. In those days, spiritual books were not readily available, and our destiny was to gather them together and make them accessible to all. It was the right time and the right place, and the Bodhi Tree Bookstore became a mecca for all things spiritual. We felt that the wisdom contained in the books we carried could transform not only ourselves and our community but the entire society. Governments would change, and the entire cosmos would be different. “Now in our 36th year, we see many signs of spiritual success, despite ongoing wars, mayhem, murder, and other personal cruelties. Many people have spiritual interests and practices that charge their daily lives. Spiritual books have penetrated all aspects of society and are readily available from large and small general bookstores, as well as online. As a people, we are growing from the confines of a habitual, institutional religiosity to one of personal, transformative, and inspirational significance that embraces the Earth and the expanse of galactic space. I invite you to read interviews and interview excerpts with various mind/body/spirit teachers on my site here.